In this world lots of events demand our attention. We are pushed from one site to the other, having to do this, responding to that, needing to meet his person, or having to write to that one. We have to face the hectic life of getting into business, having to do the shopping, taking care of the household, bringing the kids to school and to their after school societies or arts classes. They have their activities which demands their, but also our, attention. They want to get somewhere in life and we are wondering where we can get to. Who does not want to come somewhere at the top in life? But what may it be, having reached the goal or having become some one important. What does it contribute to our personal life? Like most people Christians allow the rush and crush of selfish ambition to deprive them of their daily portion of heavenly food. Oh, so often they forget what is most important in life. 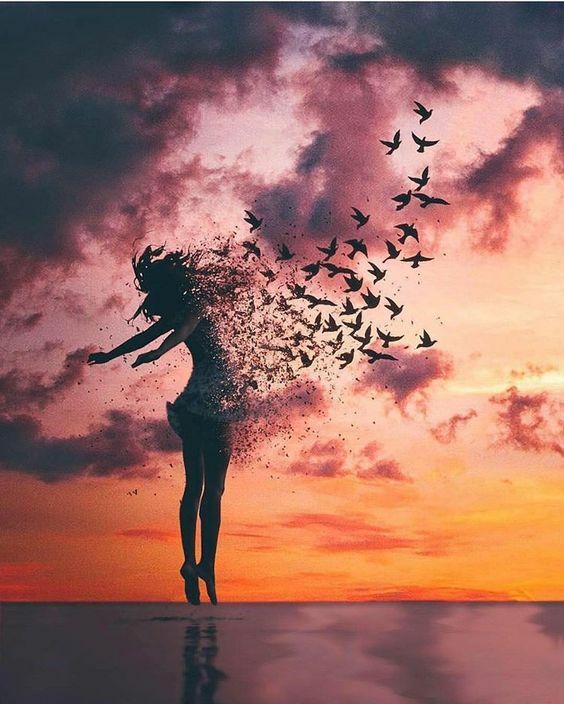 By forgetting the more spiritual matters it often happens they come like most citizens, bewildered in the mass of people trying to get somewhere in life. Forgetting to take in their daily portion of spiritual food they must not be surprised, if they grow spiritually leaner day by day, and if “the peace of God” gives place in their hearts to the discontent which is growing in the world, notwithstanding the multiplication of their comforts and privileges. We should remember how important it is to have our daily Bible Readings. There are different ways to get around the Book of books in the whole year. Either you may go from chapter to chapter, until the end of the Bible and start all over again, taking perhaps another translation each time. Or you may follow the practical Bible roster or Bible Reading Plan provided by several Bible Students Groups, like the International Bible Students or the Christadelphians. Next to those Bible readings we need some extra guidance and encouragement. This can be received by reading the daily notes or additional daily short meditations. Such literature can be like daily manna, the spiritual food which can take care that we grow and become more mature Bible Students. We may not forget the Divine Creator Himself has given us His teaching. By His men He allowed the Words come unto many people all over the world in many languages. That way all over the world people can get to know and keep in their hearts those commandments God has given to the world. For length of days and years of life, and peace they will add to those who are willing to listen to those words of the All Mighty. Those people who believe there exist that Supreme Being Who is eternal Spirit, can find His handbook for life, which has every guidance we need in it. This Super Power is more mighty than any man, and it is Him we should fear and not our fellow man. To His words we should give more attention than to the words of man. By reading them the readers shall find their character and their personality changing by the years. They shall be able to find kindness and truth, but should also be aware that favour and good understanding in the sight of God and man, plus good success can leave them if they do not continue on the right path. We should trust in the Most High Lord of heavens, the God of gods, Jehovah with all our heart. Too many people today are leaning on their own understanding, convinced they have enough own insight. 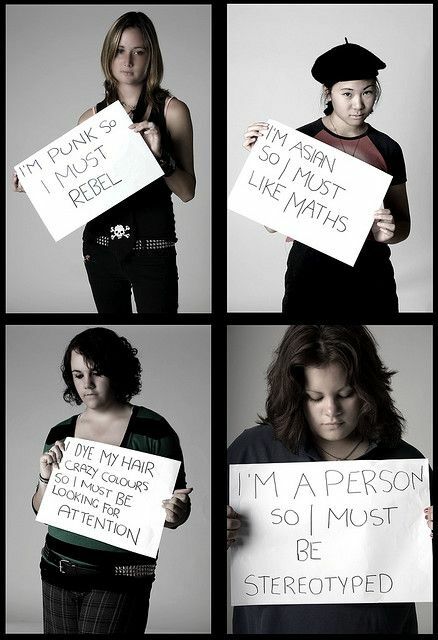 How mistaken they can be. God asks us to trust the Adonai with all our heart and not to rely on our own understanding. In all our ways we should have respect unto Him by listening to Him Who has all the answers. Him we can trust to give our hand to be guided through life. When we allow Him to order our goings, we can be sure we shall be able to find easier ways in life. We therefore may not neglect the God’s Word. It will not be sufficient just to read His Word once in our lifetime. It also will not be sufficient to go to Him only when we are in trouble or find no way out. We shall have to show to God we are with Him and do love Him, not for what we might get from Him but out of honest feelings of love for Him and His creation. We should all be aware that we will not enjoy life — really live — as God intended, without feeding regularly on God’s Word. As human beings we do need water daily, our drinks and our other beverages. We can not survive without having food regularly. Spiritually it is exactly the same, we can not survive without our spiritual food at regular time intervals. In case we do not eat properly we shall not be able to stay healthy. We need the necessary nutrients to stay strong physically. But we do not only have our physical body. We do have our brains and our way of thinking. To keep that healthy we shall need to give our brains the right impulses. We do need spiritual food to stay strong spiritually. God’s Word — the Bible — is the food that feeds our faith, and gives us spiritual strength. By every thing that God prescribes we shall be able to live. Like we need to feed our body every day, we also need to feed our spirit every day. Our daily Bible reading should be our standard activity whereby we virtually bind the Word of God around our neck, writing them on the tablet of our heart. Doing so, we will find favour and good repute in the sight of God but also of man. Acknowledging Him, He will make your paths straight. To get regularly some of God’s Word into our mind we can build up some good habits, such as reading the Word every time we eat food, or every morning when when we awake, or right before we go to sleep. It does not matter so much when we take some time to read in the Bible or when we take some time to pray or have our little conversation with the One Who we love. We only should not postpone it and should remember every day. We may not be wise in our own eyes. We should fear the Most High Divine Creator, Jehovah and turn away from evil. 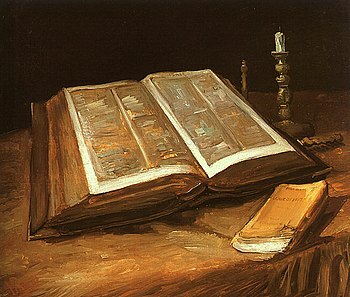 When we fulfil such daily routine of Bible Reading it will be healing to our body and be as a refreshment to our bones. Let the Word of God with the daily readings exhort us so that God in all our ways shall direct our paths. Taking every day the Bible into our hands to read in it we should also pounder and meditate on what we have read. We should let the Words of God go deeper in our mind. Not only letting the word coming into our minds, we should also allow the Word of God come out of our minds, speaking it to ourselves and others. Speaking the Word — especially when you personalize it, can really build your faith fast. You can read the Word of God (the Bible) on your own or with others. Listening to others who read it aloud is also a nice way to share God’s Word. Of course, nothing can replace your own reading of the Bible, or having it read to you. But additionally it may benefit you to include devotional reading, texts or meditations on biblical texts or Bible Fragments. For this reason we would like to contribute to encourage you to think about certain Bible fragments and would like to present, or to do our part in providing, material to enrich you spiritually. 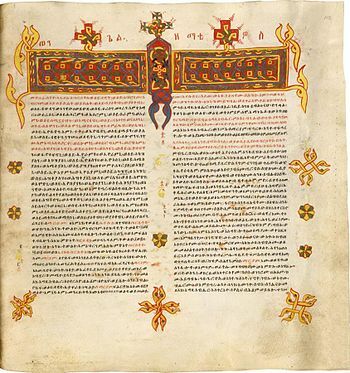 Besides Bible Fragments we will on this site, in the future, places short devotions or thoughts and discussions of our confreres from the past. 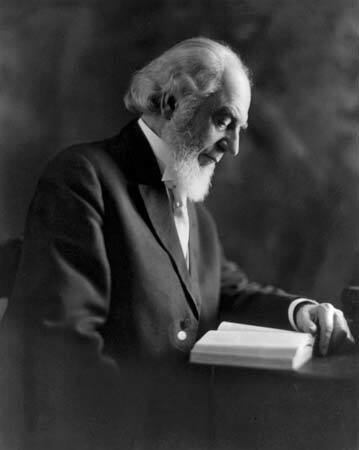 As such you shall be able to find some parts from Charles Taze Russell his “Daily Manna” which had far better success than the Bible Students had dared hope for at the turn of the 19th century. 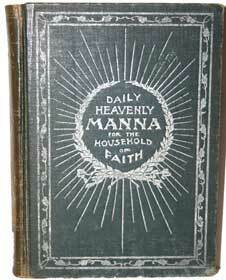 At the beginning of the 21st century we too would like to present “Daily Manna” to provide our visitors and readers with spiritual nourishment. We do hope we shall find enough people who are truly committed to seeking God and walking closely with Him, interested to meditate with us on the provided readings from the Bible as well as from previous writings by different Bible Students. We shall regularly bring an extraction of God’s word, with or without commentary and present some thoughts to draw the sincere seeker closer to God on a regular basis. Knowing that the hope for the world lies in the blessings of knowledge and opportunity to be brought to all by Christ’s Millennial Kingdom — but that before Jesus shall return everywhere in the world the Gospel shall have to be preached, we would like to bring our contribution to that preaching and hope that you would like to share the Good News with others. We all should work at our self and help others to work at themselves to become more clean and ‘holy‘ so that we can set apart and be prepared for the return of Christ Jesus, when all the wilfully wicked will be destroyed. (Acts 3:19-23; Isaiah 35). We wish we can stimulate you to look more into your Bible and to study further the Word of God. The popularity of the first edition of 20,000 called for a subsequent printing of 40,000 in 1907 (R3967.) This second edition added the feature of interleaved lined pages for use as an “Autograph and Birthday record.” Its use as a follow-up for the colporteurs was suggested at that time, and some of their early experiences are recorded in R4561 and R5869. spent in partaking of its morsels of heavenly counsel cannot fail to profit all who partake. The day opened with such meditations is sure to be the better spent and more profitable. The heart thus turned to holy thoughts is much less likely to go aside from right paths than otherwise. “The wisdom that cometh from above” is thus gradually and easily assimilable, and cannot fail to bear some good fruit in the hearts of the saints, and to awaken reverence in the worldly. He who kneels before God can stand before anyone! Charles Taze Russell never claimed to have found a new religion, or a new church. Russell himself never claimed to be a prophet. Some of the most anxiety-ridden times of my life have also been the sweetest times of God revealing Himself to me. I can assure you that I would not be the same today without those moments. My fear drives me into God’s Word, which guides me into His comfort in my toughest times. How far down into this mud-hole of godless self-destruction can we go before the blessing and guidance of God is lifted off our nation? History has numerous examples of societies who chose to forget God and reject His design for their existence. The end results have never been good. When a nation fails to fulfill it’s God-given purpose, then it has no purpose, no vision and no reason to exist. Without a vision, or reason to exist, a nation begins to devour itself and soon becomes another footnote in the history books of other nations. Is this what we want for America? How much you pray and how well you vote will determine the answer! 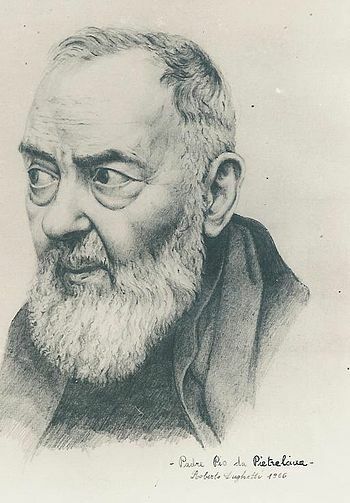 I always feel that one of the great factors in our own spiritual enlargement is a real active concern for others; not in the sense that we look after another’s vineyard and neglect our own, become “busy-bodies” as the Apostle would term it, occupied with everybody’s business except our own, but that there is a right and proper and fruitful concern for others. What the Scriptures that we have read bring before us is that God’s great revelation of purpose in the Church is not going to be realized without some tremendous and terrific conflict. There have to be those who throw themselves into that conflict for that end. He used my everyday trials in life that all people go through in life; divorces, surgeries, health issues, relationships, etc. by turning them into a lie and used them against me. He did it so subtle that I thought I was doing all of it on my own; so that I would feel guilty and take the blame for all the negative feelings and own it as unworthy, worthless and unwanted. He did it little by little so I wasn’t aware of his presence. Michael, 25, was a certified yoga teacher when he made his way to Cheetah House. He explains that during the course of his meditation practice his “body stopped digesting food. I had no idea what was happening.” For three years he believed he was “permanently ruined” by meditation. “Recovery,” “permanently ruined”—these are not words one typically encounters when discussing a contemplative practice. By far the greatest gift ever received by us is the Holy Spirit Himself. Those who discover the value of His presence enter realms of intimacy with God never previously considered possible. Out of this vital relationship arises a ministry of power that formerly was only a dream. The incomprehensible becomes possible because He is with us. Would you agree with me if I say these are the reasons why I do not share the gospel with others ?1. I am too busy. 2. I don’t know how to share it. 3. I am not smart enough. 4. People don’t want to hear it. Well, all of these may have some influence, but I believe the real reasons are deeper. Some school governors in Birmingham England have been accused of attempting to impose and promote a narrow faith-based ideology in secular schools. Should we be encouraging spiritual rather than religious education? I would suggest that here there isan attempt to relate in prayer one-to-one with an image of a personal yet transcendent God.Being religious means accepting the value of knowing about divinely revealed ideas in religious culture and also being spiritual means finding the divine spirit within inner experience.